8egg4r is correct, but since you have already tried all caps, as well as lower case, try one more combo, just swop the "8" for a "b", and the "4" for an "a". I think that was an ID 10 T error? yeah. thanks for being aholes. i never even use the codes from here before. anyway i got a legit code from nedbank money for using snapscan in their app. Nedbank. Thank you for using scan to pay on Nedbank Money! You've been gifted with a R100 takealot coupon. Use coupon code XXXXXxXXXxxXXX at checkout. I tried to use coupon code XXXXXxXXXxxXXX at checkout but an error message popped up saying it only applies to pron purchases. Yes but it also works on all books related to voting. Just bought this. Quite handy especially in the run up to elections next year. i purchased coffee using the nedbank app and they sms me a takealot voucher. i assume you need to be a nedbank client. Not a takealot per say but voucher related and you can earn it whilst shopping on Takealot and.... I KNOW HOW MUCH PEOPLE ON THIS THREAD LIKE A GOOD VOUCHER!! Did another 5x R21 transactions. I have also received promotion pop-up after getting the Woolies one, I'm assuming it's one promotion per user, so once you have redeemed the Woolies one it's game over. 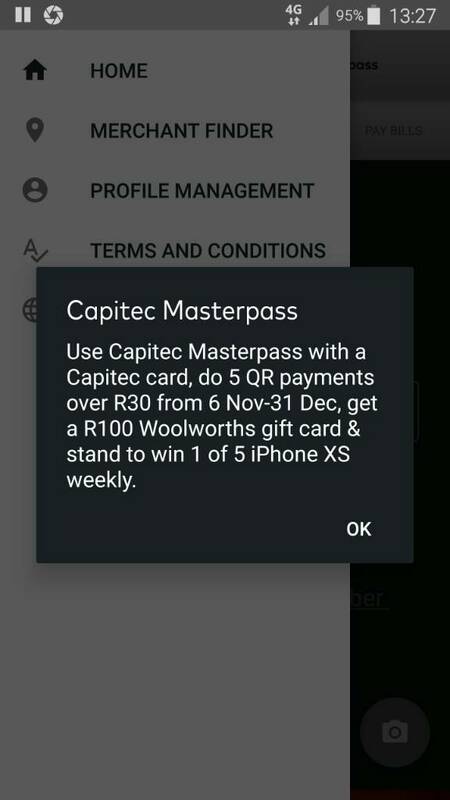 It says 5 QRs over R30 though? Damn you also get curry powder, voucher + curry powder what a deal!